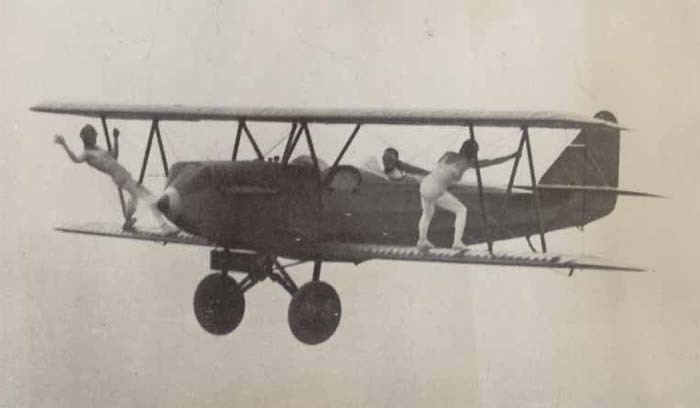 Barnstorming was a popular form of entertainment in the 1920s in which stunt pilots would perform tricks with airplanes, often in groups as a flying circus. These aerialists — or "barnstormers" as they became known — performed almost any trick or feat with an airplane that people could imagine. Barnstorming was also the first major form of civil aviation in the history of flight. 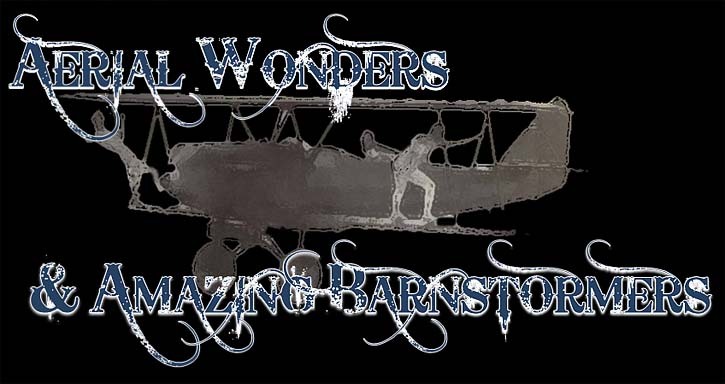 For many pilots and stunt people, barnstorming provided an exciting and invigorating way to make a living as well as a challenging outlet for their creativity and showmanship. Bergenfield N.J. 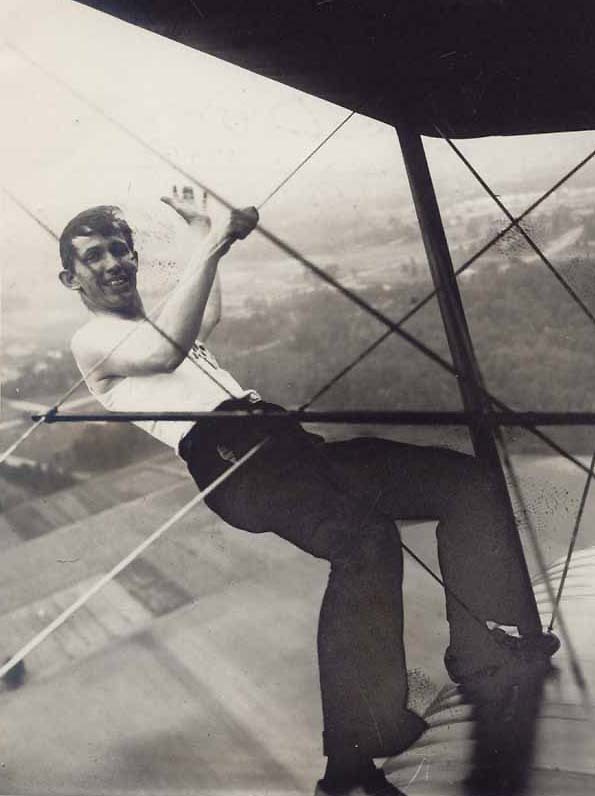 When the weather gets to hot for comfort Billy Bomar of the Howard Flying Circus Goes up for plane ride where he can take advantage of cooling breeze on wing of plane. ROOSEVELT FIELD L.I. 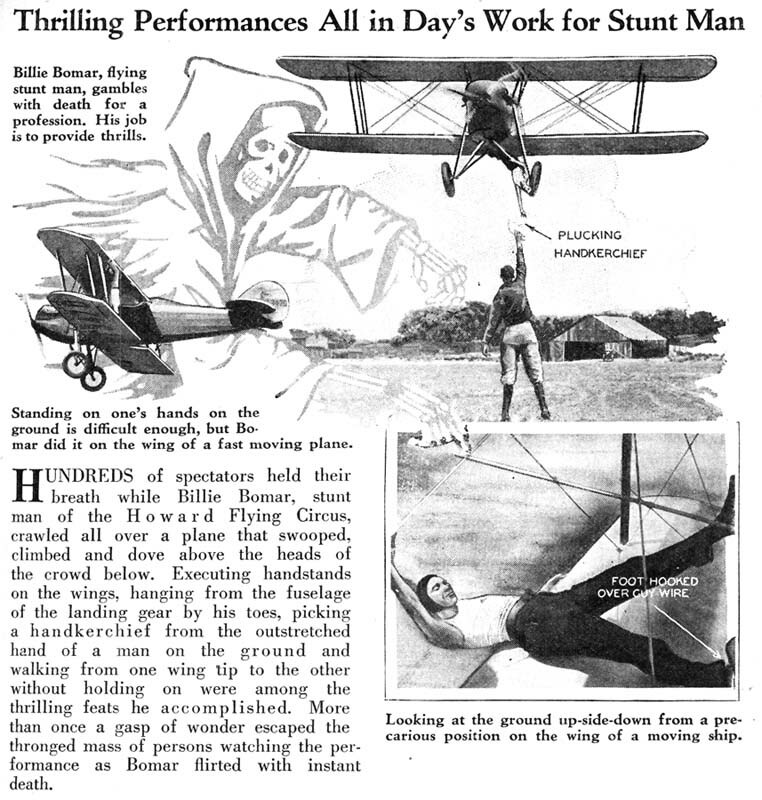 Billy Bomar and Banda Strolarska of the Howard Flying Circus scampering around the wings of an airplane high above the ground as they playfully indulge in the latest aviation sport, "AIR TAG."